On New Year's Eve, 2016 Talula the dog died of poison, specifically a euthanasia drug called pentobarbital, which was in her dog food. After hearing about Talula's tragic death, a D.C. news station and lab specializing in food contaminants looked into more pet food. What they found was shocking: 60 perent of Gravy Train canned dog food had the euthanasia drug pentobarbital in it. Gravy Train is made by Big Heart Pet Foods and owned by Smucker's. Please sign the petition demanding Smuckers recall ALL their dog food and make a pledge to only produce dog food that meets the same legal health standard as human food. One theory for how the lethal drug made its way into dog food is that some of the animals used to make the food had been euthanized with this drug. The FDA regulates that any animal that will be consumed by people cannot be killed this way, but dog food is not so regulated. That's how companies can get away with not only substandard food, but dangerous and even lethal food production for animals. Even more horrifying? 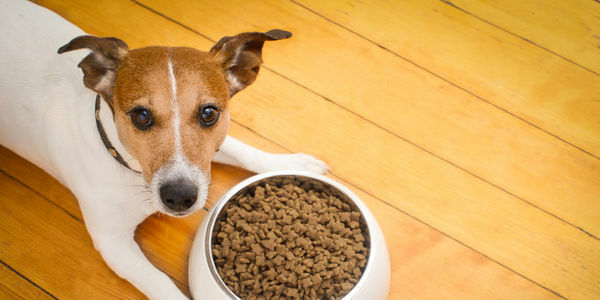 A 2004 report by Congress found that some of the renderings that make their way into dog food come from dead animals from farms and animal shelters. This is a shocking revelation to anyone who owns or loves a pet. Thankfully, the FDA says they will investigate. But in the meantime, we need to call on the seemingly worst offender, Smuckers, to make this right. Please sign my petition to keep pets safe! Our pressure is working! Smuckers hasrecalled some of their wet food. But our work is not done. We have to keep the pressure up until they recall ALL of their food and completely rehaul the way they produce dog food such that it meets human food standards. Please keep sharing the petition, Smuckers is listening!